So, We can say SharePoint is a platform which provides great number of tools with various functionalities required for businesses .Since it isn’t one tool, and because you can create highly customized solutions with it, the best way to describe it is to explain some of the things businesses use it for. Intranet An intranet is an internally facing website where people in your company sign in to find news, announcements, scheduled tasks, and access to a variety of information. Extranet SharePoint can also be used to set up an extra-net, a portion of your site that you share with outside businesses/partners you’re partnering with. . Document Storing and Sharing SharePoint gives businesses a shared space to store documents so they’re not locked away on any one person’s hard drive. Documents stored on SharePoint can be accessed by anyone in the company - unless the administrator has limited access to a smaller group. Web Content Management You can use SharePoint to build and manage a publicly facing website as well. As a Web Content Management System (WCMS), SharePoint allows you to sign in and make changes to your pages. You can update information, add text or graphics, and create new pages. Collaboration It’s easy for everyone to stay up-to-date and coordinate their efforts on projects when you’re talking about a dozen or so people working out of the same office building. SharePoint is designed to extend this ease of interaction beyond small groups in single locations. You can sign in to SharePoint from any desktop or mobile device, and you can use it to have constant access to information on project statuses, client histories, the location, availability, and schedule of coworkers, and anything else related to the project. Business Intelligence The comprehensive access SharePoint provides to your business’s data also makes it possible to find countless ways to use all that information to make better decisions. SharePoint makes it easy to search through all your company’s files, but beyond that it can help you discover larger patterns . Q: How long it will take you to develop a site/solution in .net ? sharepoint as a platform with a rich frame- work for developing business related applications/solutions rapidly. SharePoint is simply a rich set of tools, classes, libraries, controls, and so on, that are useful for building business solutions focused on collaboration, content management, social networking, content searches, and more more.... Many people think of SharePoint as a platform that’s ready to use for building websites—usually for intranet or extranet scenarios. That’s true, but is partially true ! Certainly, SharePoint is a platform for building websites, and of course, it can target intranet and extra-net sites. But it is much more, as well; you can use it to build any kind of web solution, including Internet publishing sites, by taking advantage of its well-defined and ready-to-use set of tools, based on a secure, scalable, and maintainable architecture. You can think of SharePoint as a super-set of Microsoft ASP.NET, with a broad set of services that can speed up the development of web-based collaborative solutions. You should use SharePoint as a shared connection point between users, customers, and whoever else uses your websites and the applications they utilize. The fundamental idea of SharePoint is to share con-tent, applications, and data to improve collaboration and provide a unique user experience. 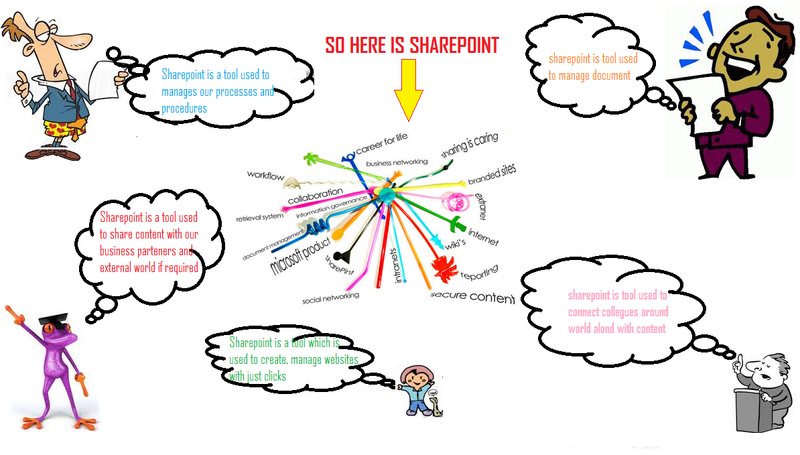 SharePoint itself is primarily a container of content and apps. Content is organized in lists, and each list is made up of items. A list can consist of simple items with custom metadata properties called fields. Lists can also be libraries of documents, which are a particular kind of item that correspond to document files. Almost always when you develop a SharePoint solution, you manage lists and items. SharePoint Foundation The underlying technology for all SharePoint sites. SharePoint Foundation is available for free on premises deployment—in previous versions it was called Windows SharePoint Services. You can use SharePoint Foundation to quickly create many types of sites where you can collaborate on Web pages, documents, lists, calendars, and data. 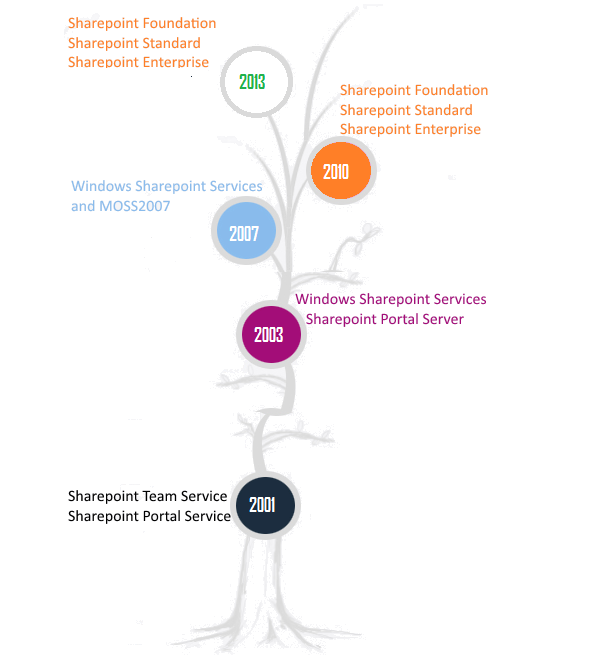 Download SharePoint Foundation 2013. SharePoint Server Organizations can deploy and manage SharePoint Server on premises. It includes all the features of SharePoint Foundation plus additional features and capabilities, such as Enterprise Content Management, business intelligence, enterprise search, personal sites, and Newsfeed. Give SharePoint Server 2013 a try! If you’re familiar with SharePoint and you’re looking to see what’s changed in the latest release, see What’s new in Microsoft SharePoint Online and What’s new in Microsoft SharePoint Server 2013. 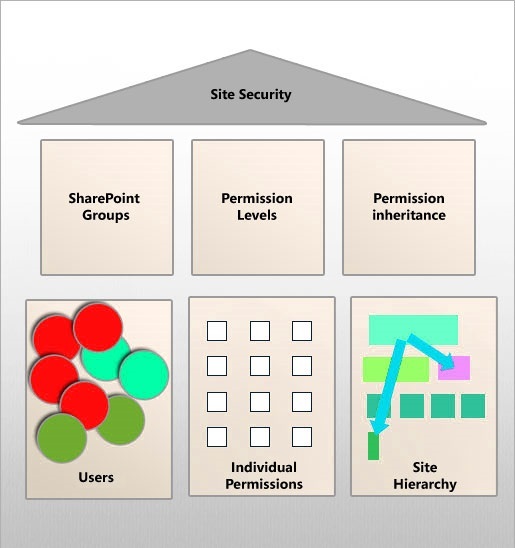 SharePoint Sites facilitates to create websites. SharePoint Communities plays it’s role to collaborate with other peoples. Search Engine provides smart and efficient searching of enterprise contents. Insights brings information together from different data sources. Composition makes SharePoint an extensible platform and extends it’s capabilities by using different tools like SharePoint Designer etc. Ask ten different people to define SharePoint and you’re likely to receive ten different answers, because the Microsoft Office SharePoint product comprises many different technologies. SharePoint Foundation: SharePoint Foundation is a communication, collaboration, and content-management platform that comes free with the Windows Server operating system. InfoPath Forms Services: This SharePoint feature enables you to embed InfoPath forms in SharePoint Web sites. 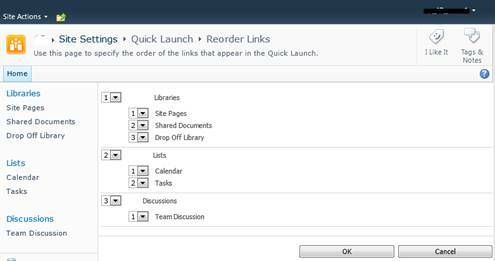 Excel Services: This feature enables you to embed Excel documents in a SharePoint Web site. SQL Server Reporting Services (SSRS) Integration: SSRS Integration is an installation option that coordinates the operation of an SSRS server with a SharePoint environment. SSRS reports are contained and managed in SharePoint instead of being sent to a standalone report server. PerformancePoint Services: With this SharePoint feature, you can develop sites for dashboards and content, including the KPIs (Key Performance Indicators) and Scorecards used in business intelligence. Business Connectivity Services (BCS): A feature of SharePoint that you can use to connect SharePoint to (and integrate it with) your Line of Business (LOB) systems. Using this feature, you can view and edit the data from your business systems within the SharePoint site. Result: You can use the company portal to make use of the backend system. Sites: A SharePoint Site is nothing more than a Web site with the special capabilities that SharePoint provides, in particular Web-site management and easy integration into other SharePoint Web sites. Document Libraries: A Document Library is a mechanism for storing and managing content within SharePoint, using features such as check-in, check-out, versioning, security, and workflow. Lists: A SharePoint List is simply a list of data arranged in columns and rows, used as the basic way to store SharePoint content. Wikis: A wiki is a specialized Web site that allows community members to update the content of the Web site on the fly. 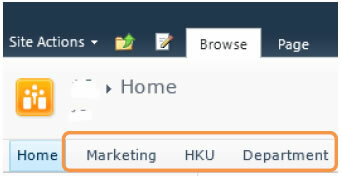 Although wikis are not specific to SharePoint, SharePoint does offer Wiki functionality as a feature. Blog: A Web log or online journal. In SharePoint, a blog provides a forum for people to exchange communications that can be viewed across the entire organization or Internet. After a blog entry is posted, the content can be augmented with comments and discussions on the blog-entry page. You can get a SharePoint blog up and running in a manner of minutes. Discussion Boards: A familiar method of online discussion, which SharePoint makes usable throughout the organization. People can post questions and replies to be viewed throughout the organization. SharePoint 2013 is a huge product. Not only is SharePoint itself complicated but it also relies on a whole series of other technologies to make the magic happen. Computer servers: At the root of any software system is a physical device called a server. A server is no different than your laptop, desktop, or even phone. They all use physical computer chips to make things happen in the digital world. A SharePoint server is just designed specifically for heavy-duty enterprise-type software. Operating systems: A physical computer isn't much more than a paperweight without software to make it function. The software designed to make computers do stuff is called an operating system. In the Microsoft world, the operating system designed for servers is called, aptly enough, Windows Server. Databases: A database is installed onto the operating system and is specifically designed and optimized to store and manipulate data. The Microsoft database product is called SQL Server. SharePoint takes advantage of the advanced capabilities of SQL Server to provide the features users need. Web servers: SharePoint is software that you interact with using your web browser. A special software product called a web server is the engine that delivers web pages to your web browser. The Microsoft web server is called Internet Information Services (IIS). The Office 365 product is actually an umbrella term that encompasses four different technologies that have been woven together to provide a seamless solution in the cloud. Use this reference to quickly get a handle on Office 365 and its components as well as their purpose and problems they are designed to solve. SharePoint Online SharePoint is Microsoft’s web platform and is designed to provide communication, consolidation, collaboration, and content management. Exchange Online Exchange is Microsoft’s email server designed to handle the heavy lifting of managing and routing emails. In addition Exchange handles functionality such as contacts, calendars, and tasks. Users generally use an email client such as Outlook to connect to Exchange. Lync Online Lync provide instant communication and ad-hoc meetings. Lync lets you conduct online meetings by sharing your screen or presentations online with multiple users simultaneously while communicating via voice, chat, and surveys. Lync is integrated with the other products in Office 365 in order to provide instant ability to communicate regardless of what software you are using. Office Professional Plus Office Professional Plus is the nearly ubiquitous productivity suite used by information workers around the world. 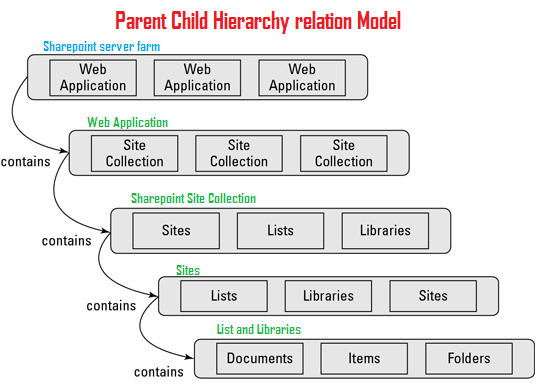 SharePoint contains a huge amount of functionality. Use below terms and acronyms as reference to quickly understand the components of SharePoint. 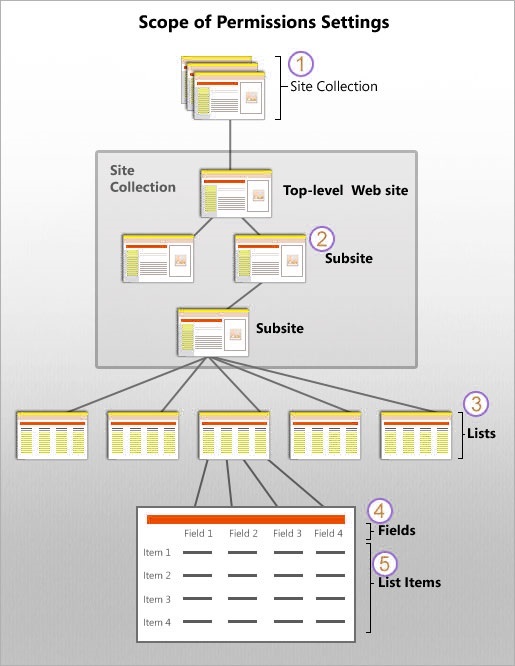 Site Collection A SharePoint Site Collection is a top level site that contains other sub-sites. The difference between a Site Collection and a Site is that a Site Collection contains separate security and is isolated from other Site Collections. A Site on the other hand is contained by a top level Site Collection and shares security and other aspects with other Sites within the same Site Collection. Sites A SharePoint Site is nothing more than a website. At its root SharePoint is a website management system that provides a rich assortment of functionality that can be easily integrated into the SharePoint websites. Document Libraries A Document Library is a mechanism to store content within SharePoint. A Document Library provides functionality for content management such as check-in and check-out, versioning, security, and workflow. Lists A SharePoint List is simply a list of data. Much like you would have a grocery list a SharePoint List stores data in columns and rows. Wikis A Wiki is a specialized website that allows community members the ability to update the content of the web site on the fly. A Wiki is not specific to SharePoint however SharePoint provides Wiki functionality as a feature. Blogs A Blog is a web log or online journal. A blog provides a forum for people to write communications that can be viewed across the entire organization or Internet. Once a blog entry is posted the content can be commented and discussed on the blog entry page. Blogs are prevalent throughout modern society and SharePoint provides the ability to get a blog up and running in a manner of minutes. Discussion Boards A Discussion Board allows for online discussion throughout the organization. A discussion board provides a forum for people to post questions and replies that can be viewed throughout the organization. Exchange is often thought of as only being an e-mail server. The Exchange product contains a number of additional components, such as calendars, contacts, and tasks. Use this reference to quickly understand the different aspects of Exchange. Mail E-mail is probably the most used for of communication in the modern age. Exchange excels at handling e-mail. You connect to Exchange using an e-mail client such as Outlook. Calendar If you use Outlook then you are familiar with booking your meetings and appointments on the Calendar tab. Exchange is the actual product that handles these events because Outlook is just the client. Contacts Having a place to store all of your contacts is critical in today’s connected world. With Exchange all of your contacts are stored on the server and can be accessed to by any connected device. For example, you can use your mobile phone, laptop, home computer, or work computer. You can even connect by using any computer that has a web browser through Outlook Web Access (OWA). Tasks Unless you have the memory of a savant then you probably work from a task list. When you store your tasks in Outlook you are actually storing them out in the cloud in Exchange. Just like the other aspects of Exchange, your tasks are available from any connected device. Because your tasks are in Exchange, you can add a task on your laptop and have it instantly available on your work computer when you login. You can use Lync to communicate in a number of different ways. Lync lets you do everything from sending an e-mail with a click of the mouse to conducting an instant and ad-hoc meeting with people around the world. Use this reference to gain an understanding of the components of Lync. Meetings Lync allows you to conduct instant and ad-hoc meetings. Using Lync you can share your computer screen or applications so that everyone in the meeting is looking at the same thing. You can use features, such as a virtual white board, shared chat rooms, questions, and surveys. Lync meeting functionality is integrated tightly with Outlook so that you can create meetings and invite participants on the fly with only a few clicks of the mouse. Messaging Lync allows you to send messages by using popular messaging platforms, such as Yahoo, AOL, Windows Live in addition to internal corporate users. Voice Lync integrates with your corporate phone system to provide one-click calling as well as other features, such as having voicemails sent to your e-mail and Outlook. Video Using Lync you can integrate video into meetings and messaging for as close to an in person experience as possible. want to expose business intelligence and big data reports Integration between SharePoint and Excel is even tighter, too. information quickly will ensure the success of any SharePoint project. Note: Which site templates are available to you depends on which SharePoint 2013 edition you're using, as well as the features that are activated. For example, the Business Intelligence Center template is available only with the Enterprise license. Difference Between Web Applications Vs Site Collections Vs Sites in SharePoint. SharePoint Site is just a website. SharePoint allows us to create varieties of websites for specific purpose like Personal site, a Team Site, a social media site, a blogs or a Wiki Site etc. 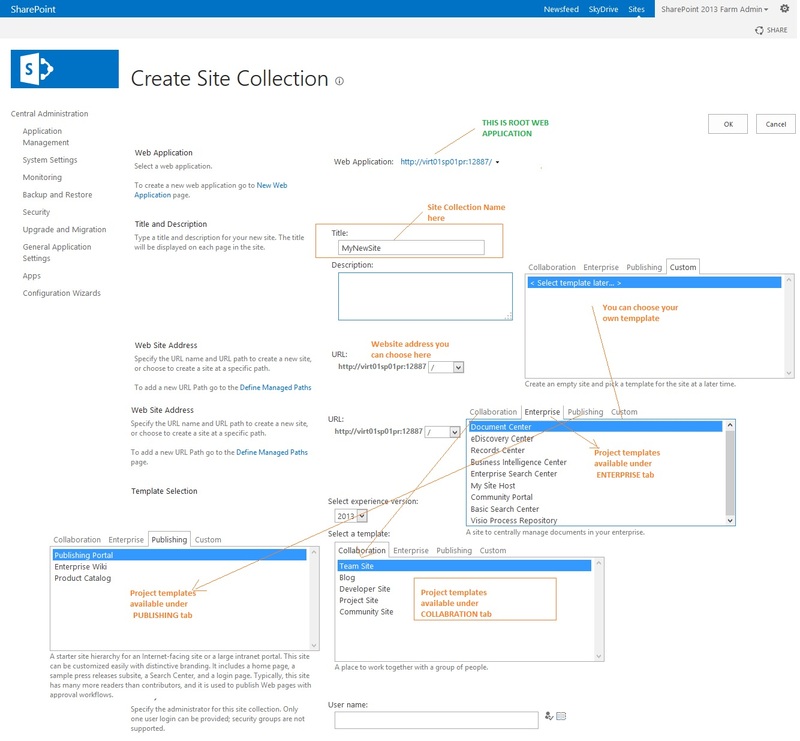 While Site Collection is a collection of SharePoint sites that share common features like Content types, Templates, Site columns, permissions, Web Parts etc. SharePoint provides loads of templates you can use for creating sites. By far the two most popular are the team site and publishing sites. But SharePoint offers a lot more choices beyond those two. What’s more, your company can even create site templates that are specific to your company. The term site template is overloaded. Technically, the site templates provided by Microsoft are site definitions, which is just an XML file that describes how to create a site. Site definitions reside on the file system. The site templates that you create from your sites are just Microsoft cabinet files that contain the objects required to stamp out a new site. Site templates are stored in the site collection and can be shared easily with other people. A site template is tied to one of the underlying Microsoft site definitions. A site template creates a new site using the Microsoft site definition and then builds out the site using the objects contained in the cabinet file. SharePoint provides dozens of site templates that fall into a handful of categories. Within each category, the templates are basically the same only with slight variations. Each category is optimized to serve a different audience or function. Team sites are almost always the de facto standard for collaboration sites used for project teams. Publishing sites are usually used for public-facing websites. The following table outlines the site template categories, lists the templates you can except to see, and when you should use them. If you’re creating new site collections, you see a slightly different set of categories along with a few additional templates. Also, the templates you have available to you are dependent on how your company has licensed SharePoint and what features they have turned on. In a publishing site, you can control which templates can be used to create site templates. On the Site Settings page, click the Page Layouts and Site Templates link. If you work on a site, you are working inside a site collection. Every site exists within a site collection, which is simply a group of sites and content that are located under a single top-level site. Here is an illustration of a site collection, along with the types of sites and content that a site collection might contain. A site collection administrator determines initial permissions settings for the whole site collection. All the sub-sites and content in a collection inherit the permissions settings that the site collection administrator chooses for the top-level site. You should work closely with the people who create your site collection. You are responsible for deciding who has access to important intellectual property stored on your organization’s sites (that is, for setting site-collection level permissions). If you are a site owner, or are responsible for restricting access to a specific item of content, you can work with the permissions settings for your sites to customize the permissions settings for your area. The best place to start is with security groups. In most circumstances, you can do everything you need to do about controlling access simply by working with security groups. Permission levels and permission inheritance run smoothly behind the scenes. A security group is a collection of people—known as users—who all need to perform similar types of tasks on your site. For example, some people might only need to see information on your site, while another group might need to edit it, as well. Groups give you the power to control access to sites for many people at once. By grouping commonly associated tasks into permission levels, you can grant security groups permissions to perform many tasks on a site or content item at once. By default, sites and content inherit groups and permission levels from the site above them in the site hierarchy—from their parent site. Permissions inheritance gives you the power to manage all your permissions for a site and all its sub-sites and all the content on it and its sub-sites, from one place—the top site—quickly and efficiently. In some cases, your site might contain content that only certain people or groups may access. For example, if you have a list on your site that contains sensitive data, you might want to restrict who can see it. To do this, you break permissions inheritance, and then edit permissions for the content on its own permissions page. 2. How to create new site collection? To create new site collection, you must be one of a tenant administrator. 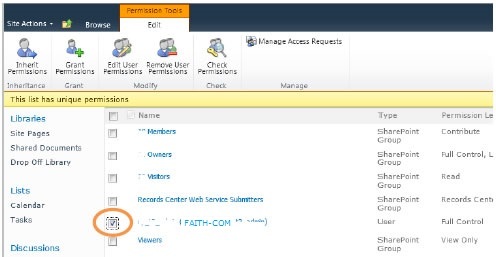 Go to the tenant administration site using your FAITH-COM\UID and PIN. Click icon at the top. Input the following information, and then click OK. The newly created site collection will be on the list, click the Manage icon. 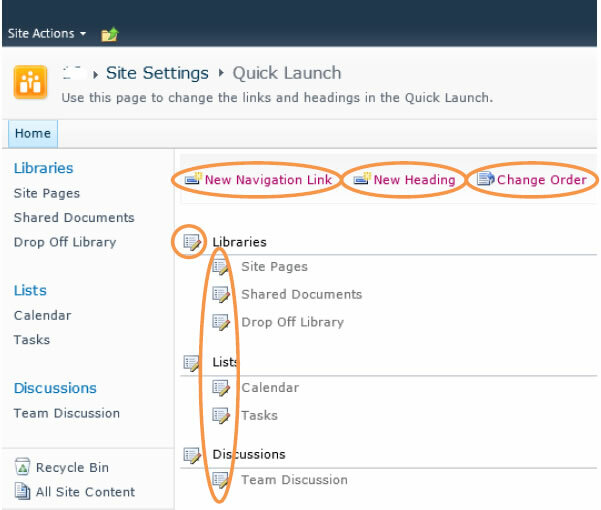 In the Site Settings page, under Site Actions, click Manage site features. Now, three default user groups are created below, site collection administrator can make use of these to manage the user access control. 3. How to change locale in site collections? 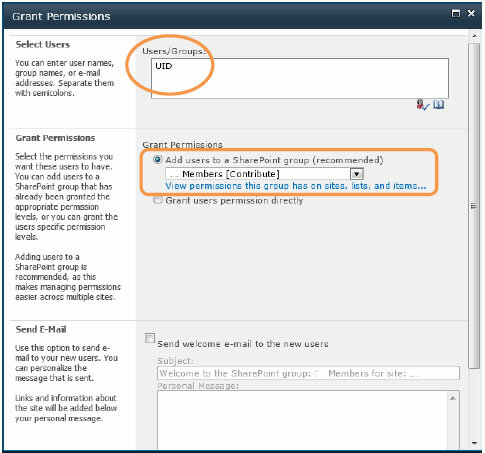 To change locale in site collections, you must have at least the permissions obtained by being added to the default <Site Name> Members group for the site. Go to the site which you want to change the locale. Change the Locale and then click OK.
4. How to set/check site collection disk quota? To set disk quota on site collection, you must be one of a tenant administrator. Go to the tenant administration site. You can check the current storage used by this site collection. Update the limits according to your need, and then click OK.
5. How to check and update site collection administrators? Site Collection Administrators are given full control over all Web sites in the site collection. To check and update site collection administrators, you must be one of a site collection administrator. Go to the site which you want to check or update site collection administrators. Update the site collection administrators list, and then click OK. This topic explains how to assign unique permissions for an individual site, list, library, folder, list item, or document. In some cases, your site might contain content that’s only meant for certain users or groups. For example, if you have a list on your site that contains sensitive data, you might want to restrict who can see it. To do this, you break permissions inheritance, and then edit permissions for the content on its own permissions page. Open the permissions page for the piece of content you want to restrict access to, and break inheritance from its parent. Remove groups or users that you don’t want to have access to the content. Grant permissions to new groups or individuals that you do want to have access. You can resume inheriting permissions from a parent list, the site as a whole, or a parent site at any time. (Note that if you do so, you’ll lose any unique permissions that were applied directly to the content. Here’s an example in which you restrict access to a list. You can follow the same steps for a site, library, or individual item, working from the permissions page for that item. 6.3 Break inheritance from the parent. Open the list that you want to restrict access to. On the List Tools tab, click List to open the gallery of commands specific to the list. On the ribbon, click the List Permissions button . The permissions page for the list opens, with a yellow status bar that explains that the list inherits permission from its parent site. Now the list is disconnected from the parent site. The list still has the same permission settings that it did before. But now, instead of inheriting permissions from the parent, it has its own copy of the parent’s permissions. Changes that you make to the permissions settings for the parent site will not be inherited by this list. 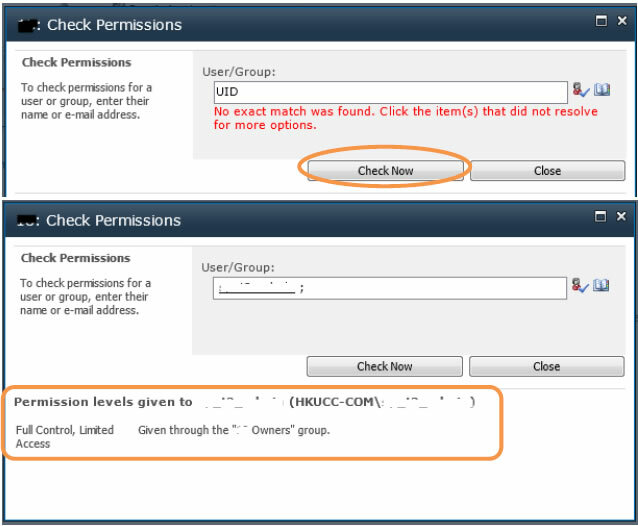 In the Name section of the permissions page, select the checkboxes for the groups or users who should not have access to this list. Click Remove User Permissions . On the permissions page for the list, on the Edit tab, click the Grant Permissions button . Type the name of the group or the individual you want to grant access to in the Users/Groups box. Choose the level of permissions you want the group or individuals to have. After you’ve broken permissions inheritance between a site, folder, list, library, list item, or document and its parent, you can restore inheritance at any time. Open the list that you want to restore inheritance for. On the list permission page, click Inherit Permissions . You can find out quickly and easily who has access to what on your sites and content, and you can easily determine whether a site, list, or library contains content with unique permissions. The permissions page displays all the users and security groups with access to the site, along with the permission levels assigned to them. 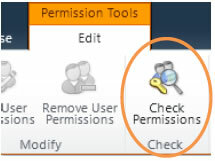 On the Permission Tools tab, click Check Permissions. Type the UID of the person or group you want to check, and then click Check Now. The Check Permissions dialog box displays name of the person or group you checked, along with the permission levels assigned to them and where the permission levels come from: That is, whether the person has permissions through membership in a group, or as an individual. 8. How to check site quota and usage? 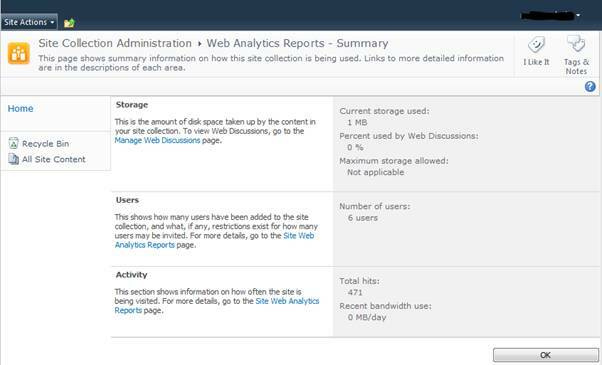 You can check site quota, usage and activities from the Web Analytics Report Summary with the URL below. Note: You must have at least the permissions obtained by being added to the default <Site Name> Members group for the site. 9. 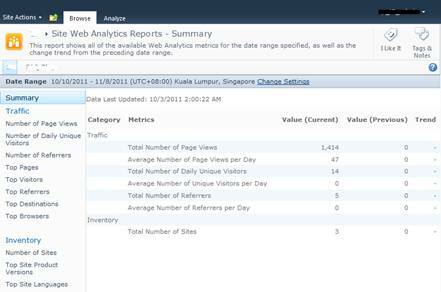 How to check the Site Web Analytics Reports? To check the site Web Analytics Report, you must have at least the permissions obtained by being added to the default <Site Name> Members group for the site. Go to the site which you want to check the Site Web Analytics Reports. To configure the quick launch for site navigation, you must have at least the permissions obtained by being added to the default <Site Name> Members group for the site. Click , and then input the required information. Click , and then change the order. Click to edit the Navigation links or Headings. To configure the top link for site navigation, you must have at least the permissions obtained by being added to the default <Site Name> Members group for the site. In the Look and Feel column, click Top link bar. To add a new link, click . Type the URL and a description for the link. The URL can link to any valid path, such as a folder within this site, a share within your organization’s intranet, or a link to a location on the internet. To edit a link, click the Edit button beside the link that you want to edit and make any necessary changes. You can only edit the description for the default links, such as Home. To remove a link, click the Edit button beside the link , click Delete, and then click OK. Important: When you delete a heading from the top link bar on a non-publishing site, any links contained under that heading are also deleted. 12. How to assign more staff as tenant administrators? To assign more staff as tenant administrators, you must be one of a tenant administrator. Input the UID of the staff, and then click OK.